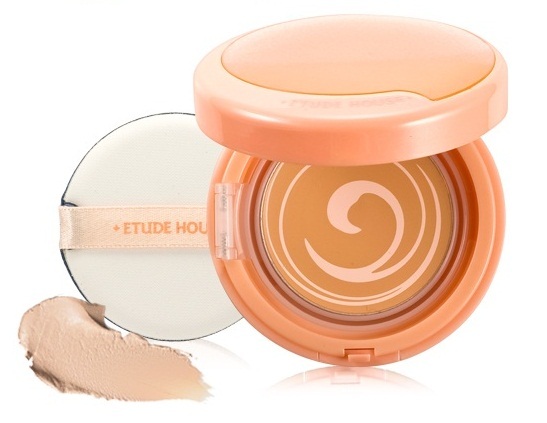 Etude House is one of the leading cosmetic brands in South Korea. their products are so great, effective and really fordable. I discovered another great product from the store, the Moistfull Collagen BB Balm Compact SPF 42. Moistfull Collagen BB Cream supplies collagen to strengthen derma integrity and promote youthful skin. This moisturizing Blemish Balm contains whitening and anti-wrinkle properties, and also provides protection from the sun's harmful UV rays. This product is perfect for on-the-go women because it has all the components that you need for your face. It's a foundation, Bb cream, sunscreen, moisturizer and whitener in one. It comes in two shades, #1 Light Beige and #2 Natural Beige. Mine is Natural Beige since I have the typical Filipina morena skin. What's also great about this product is it's high SPF component. It has SPF 42 which is really perfect for the sunny weather. The cream comes in a glittery-orange compact and has built in mirror and a separate compartment for the sponge applicator. The cream is a twirl of a darker beige and a lighter beige formula. Aside from being so cute and attractive, the mixture of two shades also allows you to build up the product on your face according to your taste. The two shades create a perfect shade when blended well. I love that they added the sponge and balm divider feature to this. Since the consistency is really creamy, the divider prevents the balm from being all over your sponge when you don't need it to. The sponge applicator is a good quality sponge. It makes application easy as it's firm and smooth so it glides smoothly onto your face. Here's a photo of my skin showing how it looks when applied on skin. The left photo is my skin with no product applied. (I know, my skin is not perfect. Please be kind ^^ ) While on the right photo is my skin with Moistfull Balm on. 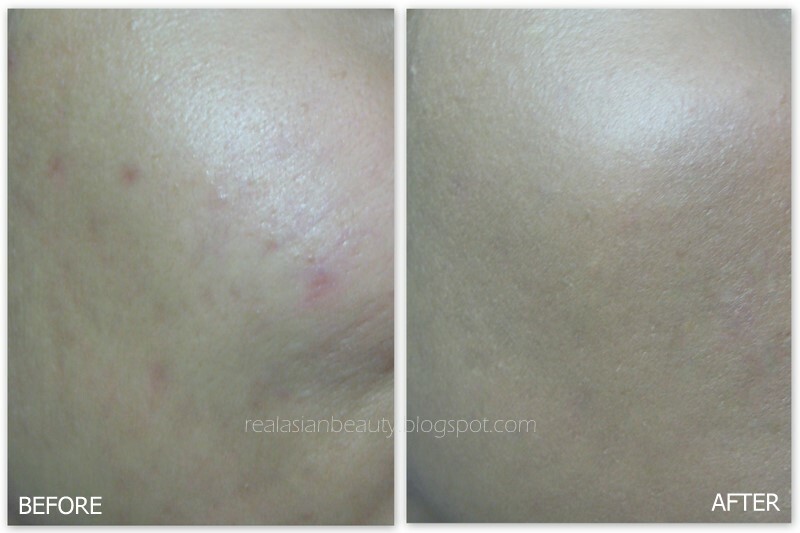 In the photo, you can see that the red spots were covered and my skin appeared smoother and whiter. Price: Php 898 or about $21. A bit pricey considering the amount of only 50g. I have to say that this product is good as a foundation as it really hides imperfections. It also has SPF with it so you don't have to worry being under the sun. However, if you are looking for a real BB cream that moisturizes and whitens as you use it then I suggest looking for another Etude House BB cream product. But, if you are looking for a product that does more than a regular foundation can do then then product is definitely for you.